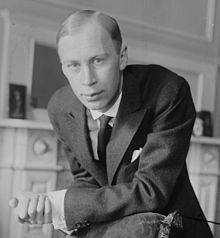 My new essay on Sergei Prokofiev’s fantastic and way-underplayed Third Symphony is now up on San Francisco Symphony‘s web site for the program Michael Tilson Thomas is conducting next week. Thank you, MTT, for championing this work! I adore “The Fiery Angel,” and had the good luck to be a supernumerary in that wonderful production at the SF Opera in the early 1990s. That’s also the reason I’m not a big fan of this symphony Because Everything Is in the Wrong Order if you know the opera well. Wish I could hear the latter again sometime soon. Thanks for commenting, Michael. Who directed that production of “The Fiery Angel”?